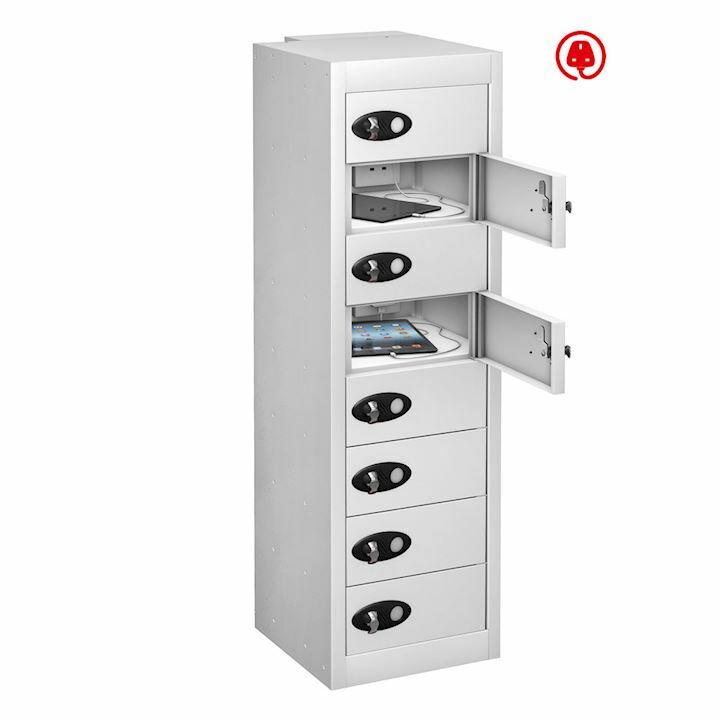 Tablet lockers from our Tab Box range are both simple to choose and use. 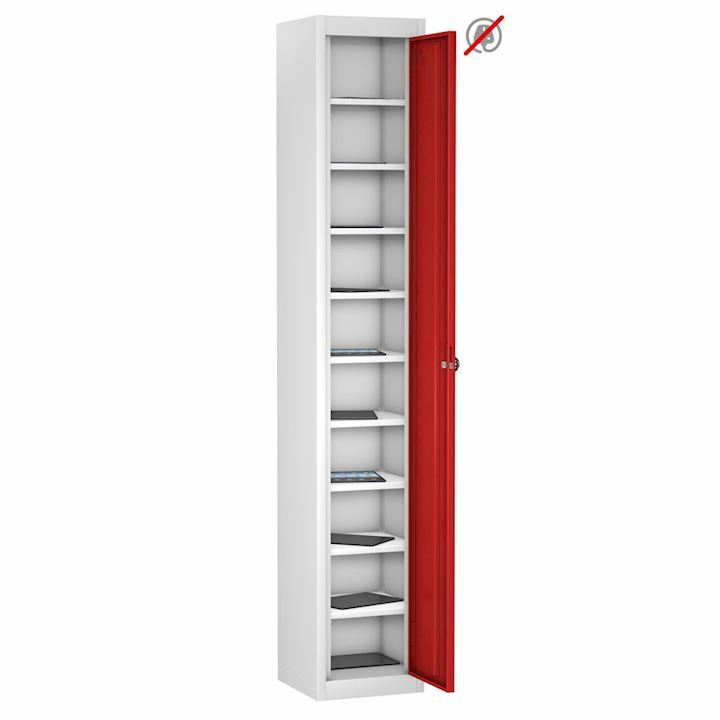 Ideally sized to store tablets and IPads our lockers come in two sizes. Choose from 305mm wide x 305mm deep or the deeper version of 370mm. 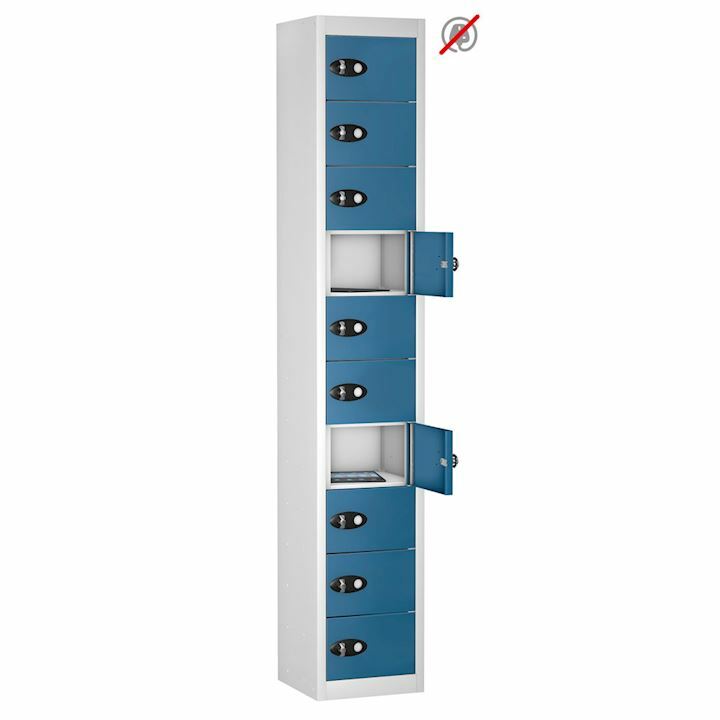 Whether you require storage only facilities or storage and battery charging facilities, our tablet lockers are available with different door options. 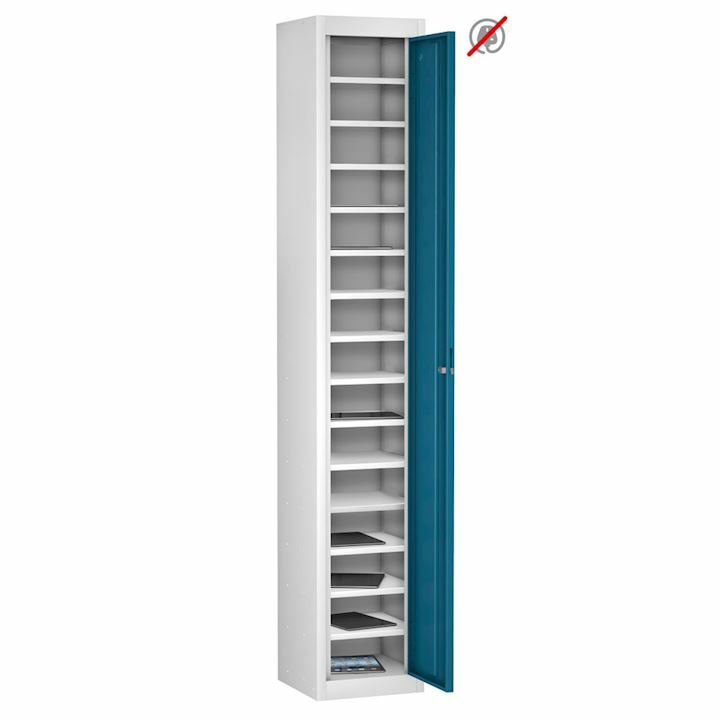 Single door, 8 door, 10 or also 15 doors in the height of the locker. Doors are either plain or have a vision panel for easy content viewing. Vision panels also allow quick identification of available compartments. For power options you can choose from a 3 pin socket with individual on/off switch as standard or upgrade to include a USB port as well. There are three colour options. Choose from Red, Blue or White. 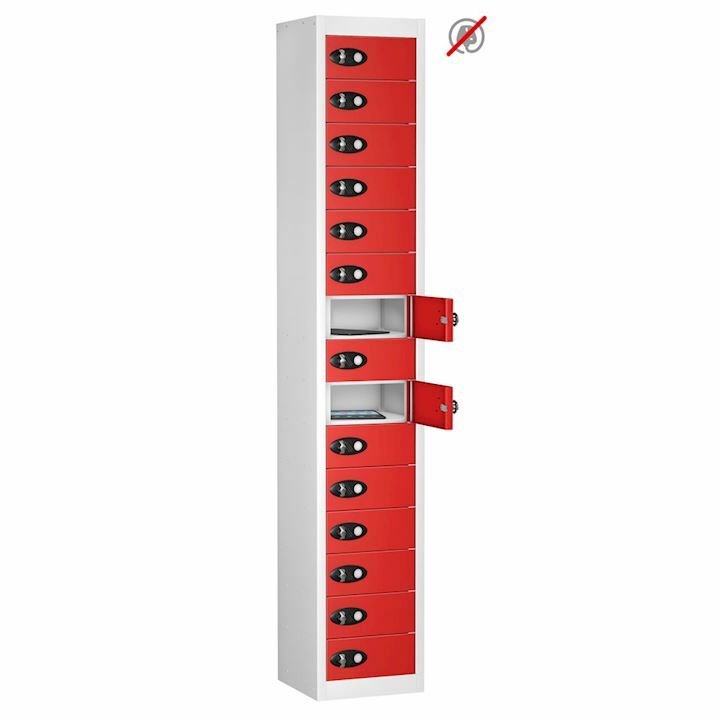 Multitude of locking options include cam locks, Hasp locks, radial pin, re-programmable scroll locks as well as digital combination locks(minimum 50 doors). 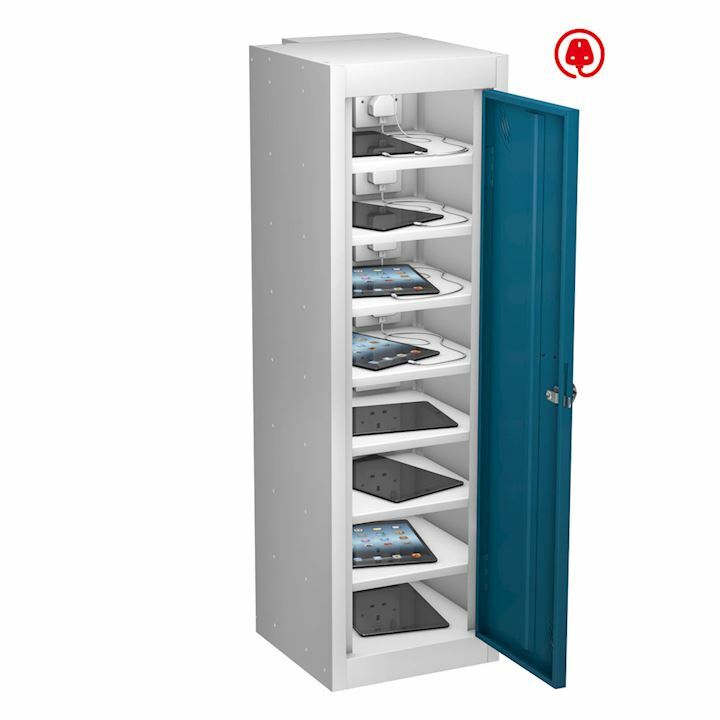 All our tablet lockers are tested to 6396: 2008. and are CE certified and tested.